Fiona Lummis was a dancer for twenty years with Netherlands Dance Theater (1981-2001). 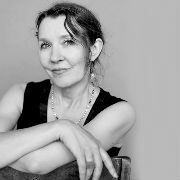 Fiona created roles in 15 of Jiří Kylián’s ballets, and in numerous works by Hans Van Manen, Nacho Duato, Ohad Naharin and Mats Ek among others. She danced featured roles in the rich repertoire of NDT including works by William Forsythe, Jerome Robbins, Lar Lubovitch and Glen Tetley. She was in the inaugural class at Rambert School when the school switched to being Rambert Academy in 1979 under Gary Sherwood, John Chesworth and Christopher Bruce. After Rambert School I enjoyed a long and rich career with Jiri Kylian at Netherlands Dance Theater. She graduated from the Elmhurst School of Dance in 1979 and The Rambert School in 1981. She holds a comprehensive Pilates teaching certificate from B.A.S.I. (Body Arts and Science International). In 1992 she received the Gouden Theaterdans Prijs for her performances in William Forsythe’s “Steptext” and in 2000 was awarded the “Oeuvre Prize” in recognition of her career in The Netherlands. Fiona can be seen on many of the Arthaus films of Kylián’s ballets, including the “Black and White Ballets” and “Kaguyahime.” She is also featured in 8 recordings of Hans Van Manen’s ballets in his “Master of Movement” DVD collection, and is recognized as one of his Muses. Fiona works closely with the Kylián and Van Manen foundations, teaching their repertoire in colleges, schools, and companies in the US and Europe. Now based in LA she is a Visiting Artist with USC- Kaufman school of Dance and is on the faculty at the Los Angeles County High School for the Arts. She is very proud that one of her students Olivia Nankin “Scout” is a student at Rambert School now and remembers her own Rambert School years fondly and is still close to many from her year group.